NOTE: This article has multiple DIY: Effective, Natural Recipes for Colds, Flu, Sinus Congestion. To make it easier to navigate, use the Table of Contents button to your right! 1. Pour hot steaming boiling water into cup. 2. Add 2 tsps. lemon juice. 3. Add 2 tsps. honey (any kind, although raw honey is best). 4. Lightly dip one herbal tea bag (any flavor, but we recommend Traditional Medicinals Gypsy Cold Care tea to be used in a hot toddy recipe for colds) in cup. If you are using the Gypsy Cold Care tea, steep, covered, for 10-15 minutes before drinking. 5. Sip slowly. Repeat every two hours (or as needed) for cold/flu. Add 1 tsp. of rum, brandy, whiskey, or cordial to this hot toddy recipe for colds. When I was a child, my mom's ‘go to' cough syrup was whiskey, lemon, and honey in equal amounts. We'd get about a tablespoon per dose. I used the same for my children as they were growing up and it is, in my opinion, the best cough syrup around. This hot toddy for colds can work in much the same way! 1. The hot steam from the boiled water will help loosen the mucus in your nose and throat and enable you to breathe more freely. 2. The lemon dislodges the mucus from your throat and adds much-needed vitamin C.
3. The honey not only coats your throat to prevent redness, but also soothes the throat irritation from the dislodged mucus, as well as adding nutritional benefits. 4. If you add the alcohol, it helps to “sweat” out whatever fever you may have and helps you sleep better. Adding the tea to this hot toddy recipe for colds is not absolutely necessary unless you want additional flavoring, but do not use regular tea as most are caffeinated. Gypsy Cold Care by Traditional Medicinals is my personal favorite for this remedy, with green tea being a close second. Hot toddies have been around for centuries, especially in England and Ireland. What I've particularly noticed is that upon drinking two or three cups of this tea (spaced two hours apart), my cold symptoms are reduced dramatically within 24 hours. We hope this hot toddy recipe for colds helps you feel a whole lot better! Blend all together and use in a Diffuser or a few drops in a bath to help alleviate cold symptoms. Heat Cranberries and water together until cranberry skins open. Strain and add honey to taste. Bring mixture close to a boil, then remove from heat. In a separate bowl, mix starch with 2 tbsp cold water. Slowly add this mixture to the cranberry juice – stir vigorously. Mix together dried herbs. Place them inside a square of natural fabric or a metal tea ball. Secure your bundle by tying the ends with a bit of sting. Hang the herb bag under your water tap. Fill the tub with warm (not too hot) water, letting the water flow through the Herbs. Get in the bath, squeeze out your herb bag and place it behind your neck as you bathe. You also may use it to scrub your body with a bit of soap. Boil a pot of water and remove it from the stove. While it is still steaming, add 2 drops Peppermint, 2 drops Eucalyptus and 2 drops Tea Tree, immediately cover the pot and head with a towel and inhale for 3 minutes. Keep Eyes Closed. Cold and Flu season is upon us, but we have an ancient remedy for congestion, coughs, and Sore Throats that is simply the bees's knees! In a small saucepan, combine the two ingredients and heat gently over low heat for 15 to 20 minutes, being sure not to let the honey boil or scorch. Remove from heat and allow the honey to cool. Strain out the Herbs, then bottle the honey and label it. To relieve colds, coughs, and Sore Throats, take 1 teaspoon of this Thyme-infused honey three times a day. You could also add a teaspoon of it to a cup of regular hot tea and sip slowly. Mix all ingredients together and use 1-2 teaspoons per cup of boiling water. Simmer for 15 minutes and drink 1 cup every 2 hours. This tea is also amazing for the immune system! Soak for at least 15 minutes in bathtub to relieve tightness and congestion. Use less Essential Oils if it burns too much. Don't blow your nose for at least 5 minutes after using the spray. The formula should last for several hours. Place all dry ingredients in a 1-quart wide mouth jar. Fill to the top with vinegar. Cover the top of the jar with plastic wrap, then screw on the lid. Refrigerate for 6 weeks so the flavor can develop and soften. Shake daily. There's no need to strain and bottle it unless you want to. The flavor keeps getting better and bolder the longer the formula is allowed to steep. At the first sign of a cold or Flu, take 2 tablespoons of this formula with a warm water chaser. Rinse mouth out well after swallowing the cider. Repeat once or twice daily for the duration of the illness. You should feel your sinus and bronchial passages quickly open and your breathing become easier. For a Sore Throat, gargle with the formula for 60 seconds, spit, then rinse out your mouth. You should feel immediate relief. Combine 5 parts Eucalyptus Oil to 1 part Peppermint Oil. Add 6-8 drops of the blend to your bathwater when you feel a cold coming on. Eucalyptus breaks up congestion while Lemon and Neroli harmonize and balance body and mind. Add to bathwater as you enter, soak and breathe in the aromas. I ground the mints in my mortar and pestle, then sifted them through a mesh kitchen strainer, and added them to the salts. Actually, I didn't really measure the amount, it was just a good handful of each. This seems to work pretty well, and if you still need to clear out your sinuses, get a half cup of pepper/spearmint, put it in a bowl, and toss in a cup or so hot water. Let it sit covered for a bit and then carefully start breathing the steam. (I found out how potent this was when I was making peppermint ‘tea' for a m&p!! Use about 1/4 – 1/3 cup of this mixture per bath. I went through the ‘batch' within 2 weeks, but someone suggested to mix the salts and dried herbs beforehand, and when the need for the bath arises, to add the eo's then to guarantee potency. A decent amount would probably be 4 drops peppermint, 2 drops eucalyptus per bath. Some people may be more sensitive to the peppermint, so be sure they don't have an adverse reaction before using these salts. Boil a pot of water and remove from the stove. While still steaming, add 2 drops Eucalyptus, 2 drops Lavender and 2 drops Tea Tree. Cover bowl and head with towel and inhale for at least 3 minutes. KEEP EYES CLOSED. Combine all of the Herbs together. Place 2 Tablespoons of mix in jar that can be completely covered. Pour 6 ounces of hot water over the Herbs and seal. Steep for 10 to 15 minutes. Strain Herbs. Drink 1 cup 3 times a day. Inhale the tea to relieve sinus congestion. For Bath: Add oils directly to a tub full of warm water and mix well. As Inhalant: Add blend to a simmer pot in a sick room. Be sure to watch the water level. For Massage Oil: Add blend to 1/2 ounce base Massage Oil and massage into the chest. This pungent blend opens the nose and soothes aching muscles. It is effective when a cold is coming on. Before using it, apply to a small patch of skin on the inside of the arm to test for skin sensitivity. Never apply pure essential oils “neat,” or undiluted, without testing them first. A head cold is a most uncomfortable feeling which affects nasal and sinus passages, accompanied by pain and tenderness. Add 10 drops of Tea Tree Oil to 4 cups of water, drape towel over pot and inhale. At night add 10 drops of Tea Tree Oil to a vaporizer. You can also rub a few drops of Tea Tree Oil on the nose and forehead areas. Add 2 drops Eucalyptus, 2 drops Lavender, 2 drops Peppermint and 2 drops Tea Tree to a steaming bowl of water – let stand so that the steam diffuses into the room (or add same essential oils to an oil Diffuser). You can also drape a towel over your head and inhale the vapors for 5-10 minutes to help with cold and congestion symptoms. 2 oz. Echinacea root, 1 oz. Nothing works faster to clear clogged sinuses than horseradish. The oils in this plant boost circulation in your nasal passages, which then loosens mucus. Mix a teaspoon of grated fresh horseradish with a little apple cider vinegar or honey, and eat it on toast (the vinegar and honey take the edge off the potent horseradish taste). Inhale deeply as you grate the horseradish; the fumes alone will start breaking up your congestion. Useful to treat severe cold symptoms. Mix the Herbs. Pour 1 pint of boiling water over 2-1/2 tablespoons of the herb mix. Cover and let stand 10 minutes. Strain. Sweeten with honey. Reheat and drink 1 cup every 2-3 hours. Use more often if Sweating is desired. Bring water to a boil, remove from heat. Add Herbs. Steep covered for 20 minutes. Strain, add honey for taste. Mix 1 cup each of plantain, black Elder flowers, juniper berries, rosemary, Irish moss and peppermint, Steep 1tsp. of the herb mix in 1 cup boiling water for 15 min., strain reheat and sweeten, drink twice a daily. Pour 2 quarts boiling water over 1 ounce of dried sage, add the juice of lemon,1 orange, and 1 ounce of honey, mix well, cover and steep for 1 hour. Strain and drink as often as desired, reheat as needed. Pour 1 pints of boiling water over 1 ounce of elder flowers and 1 ounce of peppermint leaves, cover and let steep 15 min. strain and sweeten give 1 cup warm every hour to produce sweating. Put 1 tbsp. each of white yarrow, boneset, and skullcap in 1 pint of water, simmer for 30 min….strain, add 1tbsp. of this liquid and 1tsp. of psyllium seed, flavored to one cup of boiling water, sweeten w/corn syrup, drink every 30 min. this takes care of backaches and headaches too. Add 1 ounce of comfrey root(cut up fine) to 1 pint of water, bring to a boil then simmer for 30 min…strain and sweeten take this 3-4 times a day by the cup, comfrey reduces the inflammation in the bronchial and alimentary system. It acts as an emollient, demulcent and expectorant, it also has pain relieving properties. Mix 1/2 cup each of powdered slippery elm, corn starch, and crushed black mustard seed, wet the mixture just enough to make a thin paste, grease chest w/olive oil. Place the mixture on a warm flannel cloth and apply to the chest, cover to keep warm, keep on until chest skin begins to turn red. Heat 1 cup of milk,add 1tbsp. dried bee balm to the milk, allow to steep 15 min….strain and reheat, drink several glasses a day until improvement is noticed. Put 1/4 once of comfrey leaves in 1 pint of boiling water, cover and steep(covered) 30 min…strain and sweeten with honey, drink at least 2 cups per day. This is good to use for persistent stubborn coughs. Pour 2 1/2 cups of boiling water over 2tbsp. of dried Agrimony flowers or leaves and 1tbsp. of dried parsley, cover and steep until the mixture is cool, strain…use as a gargle to soothe throats, to stop persistent coughs take 2-3tbsp's of the infusion morning and evening. Place 1 pint of cherries in a pan and add just enough water to cover , add several lemon slices and 1 pint of honey, simmer the mixture until cherries are soft, remove from heat. Remove the lemon and cherry pits from the mixture, refrigerate and take several tbsp. as needed for coughing. Pour 1 pint boiling water over 1 ounce of dried thyme, cool to room temperature strain and add 1 cup of honey, shake to mix well, keep in refrigerated, take 1tbsp several times a day for sore throats, colds and coughing. Hyssop tea is used on a regular basis is said to help keep away infections; add several teaspoons of the chopped leaves to 2 cups of boiling water and allow to steep 15 minutes, strain and sweeten w/honey, take several cups a day if fighting a cold or infection. Mix 1 tablespoon of elder flowers,1tbsp. peppermint,1tbsp. white yarrow,1tbsp. feverfew flowers, pour 2 cups boiling water over mix, let steep for 15 min. strain, sweeten and drink hot, this will help break fever by perspiring. Yarrow acts as a pain reliever. Mullein flower tea has a pleasant taste and is good to soothe inflamed conditions of mucous membrane lining of the throat, also relieves coughing, put a small handful of the mullein flowers in 1 pint of boiling water, allow to steep for 15 min., strain and sweeten w/honey. For cold treatment: chop several leaves of comfrey and add 1/2 cup of elderberries, add 1 cup of honey and 1 cup of water, simmer for 30 min. …strain and take as needed to produce perspiration and reduce fever, comfrey leaves produce an aspirin like substance and help to ease discomfort of a cold as well as soothes inflamed mucous membranes of the throat., elderberries serve a diuretic to flush the system. Mix 1 cup each of dried white yarrow, spearmint, sage, catnip, horehound, verbena, and pennyroyal. Pour 1 pint of boiling water over 2 1/2tbsps. the herb mix. Cover and let stand 10 min…..strain and sweeten…drink 1 cup every couple of hours, use more often if sweating is desired. This remedy is for kids and adults (both will love) simmer 1/2cup of rice in 1 1/2 quarts of water for 15 min., strain and add a few drops of vanilla flavoring and sugar, sprinkle w/cinnamon for extra flavor(drink warm) this settles an upset stomach quickly, stops vomiting, diarrhea fast. Pour 1 cup boiling water over 1 teaspoon of crushed rosehips and 1teaspoon of dried lemon peel, let steep 15 min. 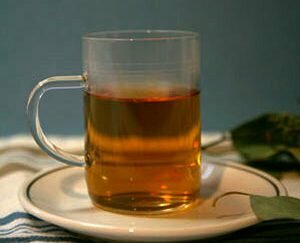 strain and use honey to sweeten, drink this tea whether you have a cold or not, the extra vitamin c is good or you anytime. Boil 8 cornhusks in 2 pints of water for 30 min…strain and drink, said to relieve headaches and stuffiness of the nose during cold. Put one gallon of water in a large pan, adding 3 ounces softened ginger root, 3 cups honey, and 1/4 pound seedless raisins, bring to a boil, simmer for about an hour(top will need to be skimmed every once in a while)cool, strain and place in a tightly closed container overnight in the fridge. The next day, squeeze 6 lemons,4 oranges and add to the mixture, mix well and drink 2-3 glasses per day, will get rid of the symptoms pretty fast and clean the system. I’m on it! Thanks Debbie Iams Reale!